San Pablo Avenue is an exciting area in Berkeley, with older retail and industrial uses mixed with single family and mixed use developments. 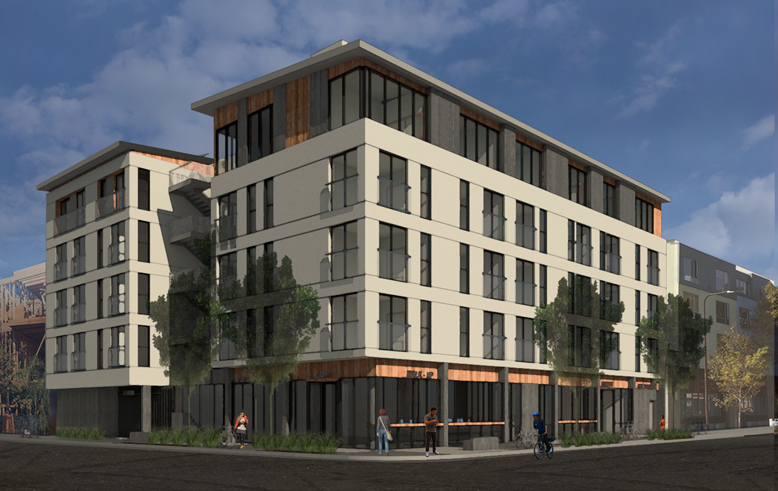 This project bridges a smaller mixed-use neighborhood with a busier San Pablo commercial corridor. The building is broken down into 2 smaller buildings that align with adjacent buildings and preserve view corridors to the San Francisco Bay. The 4th floor is provided through the California density bonus procedures. 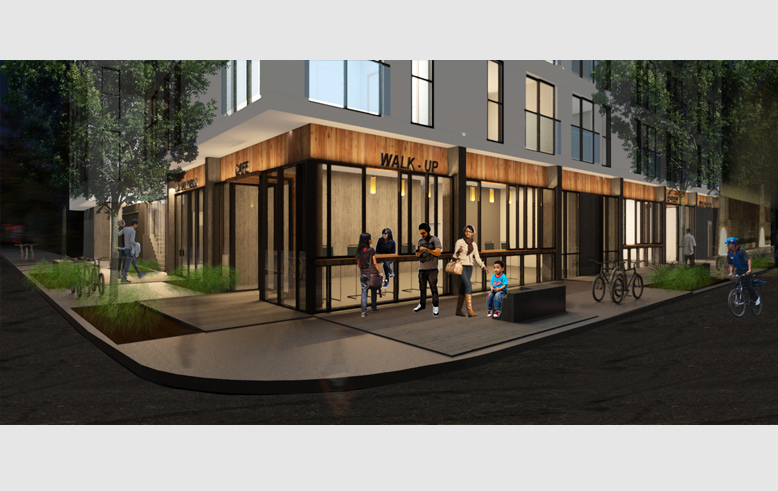 Lower units have access to shared open space and there is an additional shared roof deck. 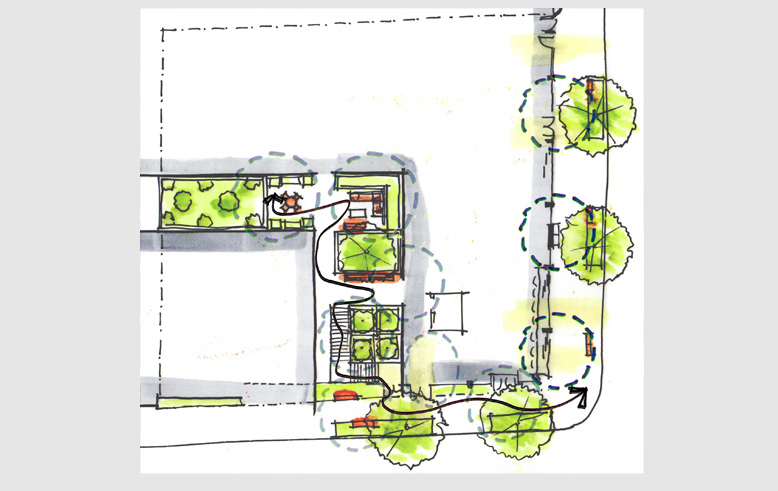 Entries are integrated with the streetscape and proposed cafe space at the corner.